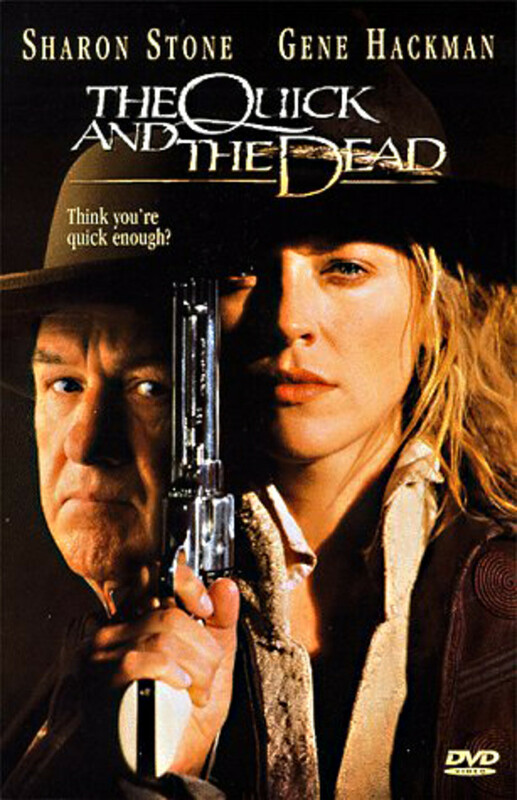 'Shenandoah' is one of the very best films in the Western genre, a movie which takes the very greatest crisis of American history and looks at the personal story of a family caught up in the tragedy of violent conflict. It is a powerful and evocative drama about one man's attempts to keep his family together in the midst of the escalating conflict of the American Civil War. 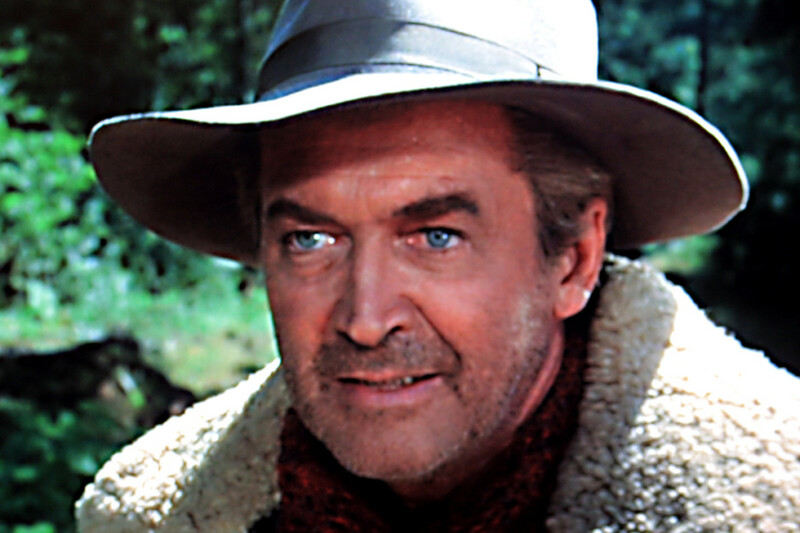 Made in 1965 by well known director of Westerns, Andrew V McLagen, and featuring James Stewart, one of the greatest and most popular of film stars from the Golden Era of the Hollywood Western, 'Shenandoah' is a movie to stir the emotions, and a movie which should appeal even to those who have no fondness for this particular movie genre. 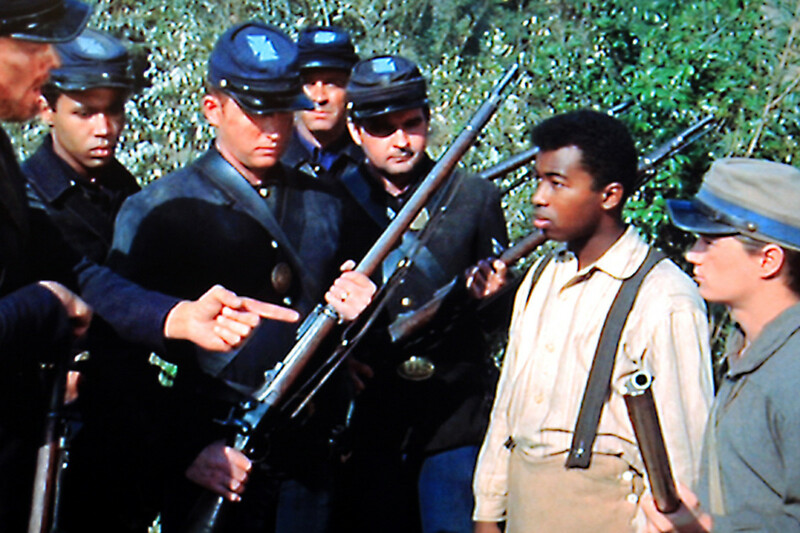 'Shenandoah' is, in my opinion, one of the most powerful Civil War dramas ever to come out of Hollywood. What makes a great film? Everyone will have their own views, but perhaps the only defining quality is quality itself. This, however, is my list of 100 of the greatest films ever made. The list also includes links to all my film reviews. Charlie Anderson is a home-loving man, a farmer, and a widower. He works his land in the beautiful Shenandoah Valley in the State of Virginia, and in this he is assisted by his large and devoted family of six sons, one daughter, and one daughter-in-law. Although he still grieves for his long dead wife, and struggles hard to keep his family together with good Christian values in accordance with the last wishes of his wife, Charlie is basically content. A lot of love exists in his family, he's beholding to no one, and the only real worry he has in normal times is how to get the harvest in on time. But times are no longer normal. The American Civil War is raging. Charlie wants no part of it - it's not his conflict, and as far as he's concerned, it doesn't affect him. All he wants is for the warring factions to stay off his land and leave him and his family at peace. Unfortunately, Charlie is trying to hold back a relentless tide, and the war is coming closer and closer, threatening to sweep across his land and change his life forever. Soldiers from the Confederates come looking for new recruits from amongst Charlie's grown-up sons, and then there is a visit from a state official looking to acquire horses and supplies for the army - a visit which ends in a fist fight. And one of his sons, Jacob, has a growing unease about the family's refusal to play its part in the conflict. Still Charlie resists, and family life goes on. His daughter Jennie gets married, and his daughter-in-law Ann has a baby. But then the youngest of his sons, known only as 'Boy', encounters a Union patrol near the farm, and mistakenly the patrol assumes him to be a rebel soldier. 'Boy' is taken prisoner, and carted away. And now Charlie can no longer stand back. Now he is involved whether he likes it or not. He has to go looking for 'Boy', and so he sets off on a quest with his family to find him, leaving only James and Ann at the farmhouse. It's a quest from which his family cannot emerge unscathed as he is led into violent contact with Union forces, and tragic encounter with Confederate forces. Along the way his family experiences both heartache and happiness. All the time Charlie's mission is clear - to find his son, and to keep the rest of his family together. 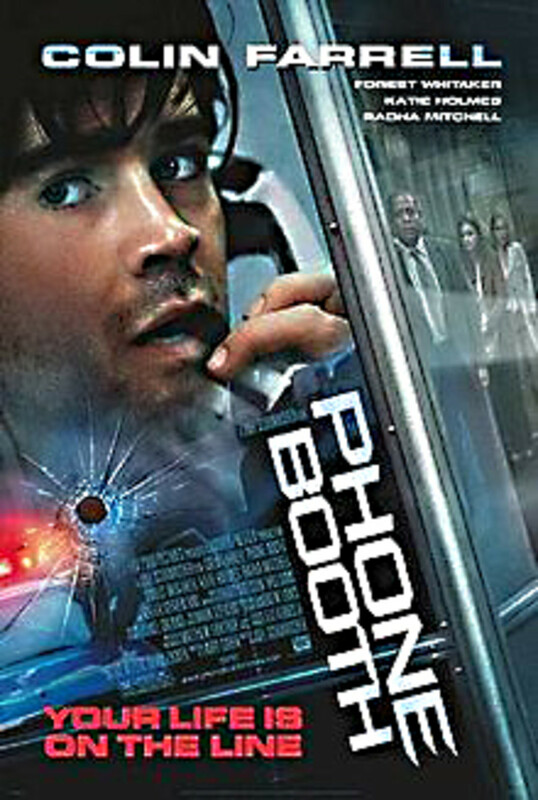 Without question the central character in this movie is Charlie Anderson. Cigar-smoking Charlie is stubborn, sometimes cantankerous, aggressive in defence of his way of life, but always loving and supportive of his family. 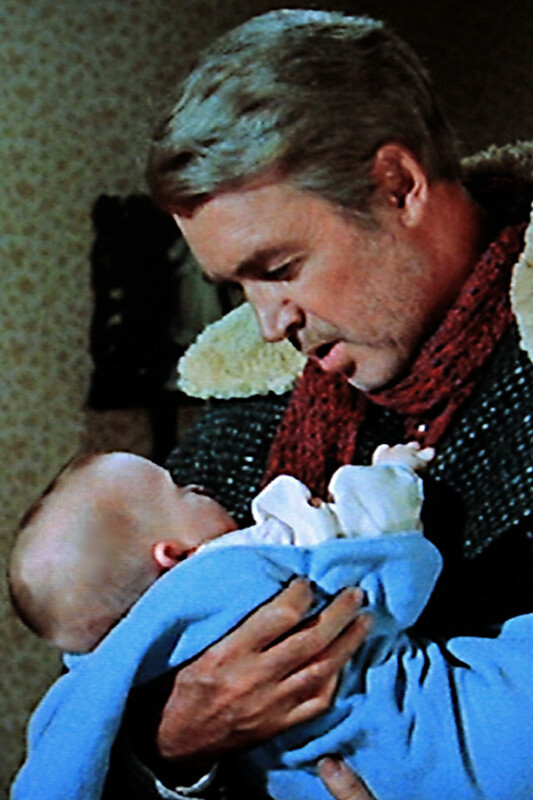 At times grief-stricken and distraught, at times content with his growing family, this is one of the very finest moments in the career of one of Hollywood's greats - James Stewart. Charlie's children are for the most part fairly anonymous, and none of their characters are deeply explored. Perhaps because of the strong family environment in which they have been brought up, individual personalities have not been able to flourish. 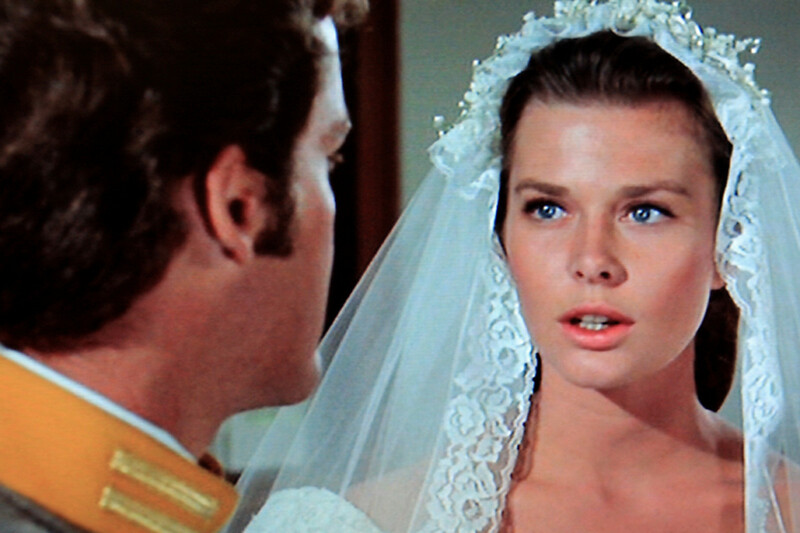 Only one is married at the beginning of the movie, and one gets married during the movie. 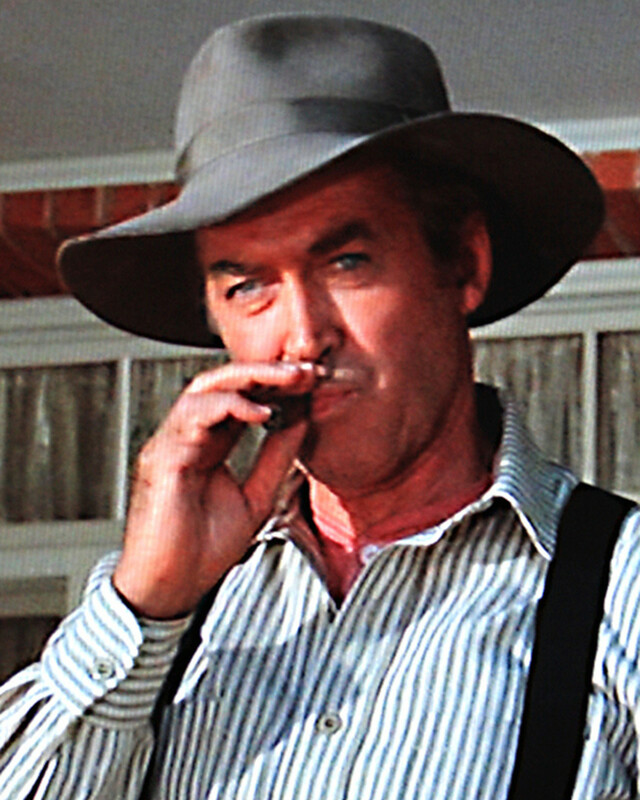 Only one - Jacob (Glen Corbett) - has clear views which may be contrary to those of his father, and only one - 'Boy' - has a significant role away from the Anderson's farm. Phillip Alford performs this role well. Sam is the most prominent of the other characters in the movie. 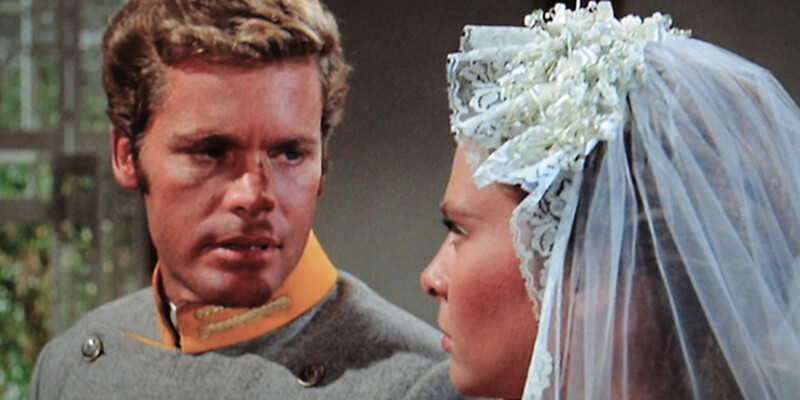 He is a Confederate Officer who becomes engaged and married to Charlie's daughter. 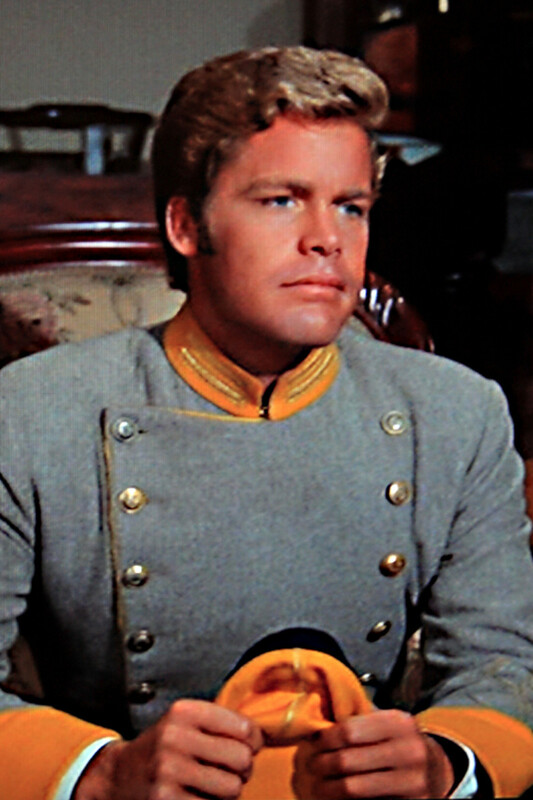 Sam is played by Doug McClure as a socially awkward and tongue-tied young man, in love with Jennie, but respectfully nervous in the presence of her father. It's actually a very accomplished characterisation. Denver Pyle gives a nice, almost comedic performance as the long suffering Pastor Bjoerling who is constantly having his church services disrupted by the late arrival of Charlie and his entourage. 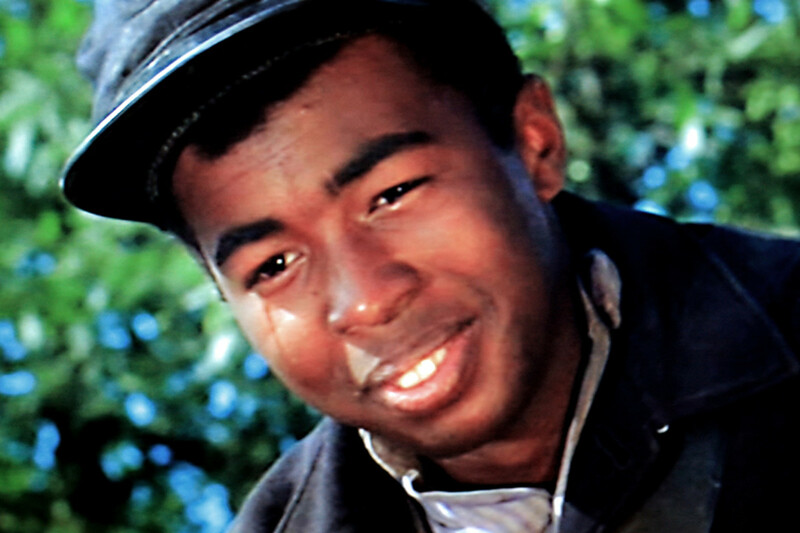 Gene Jackson plays Gabriel - Boy's friend - a character who is involved twice in the story, each time in quite pivotal events. As a young black slave. Gabriel represents one of the major social triggers for war. 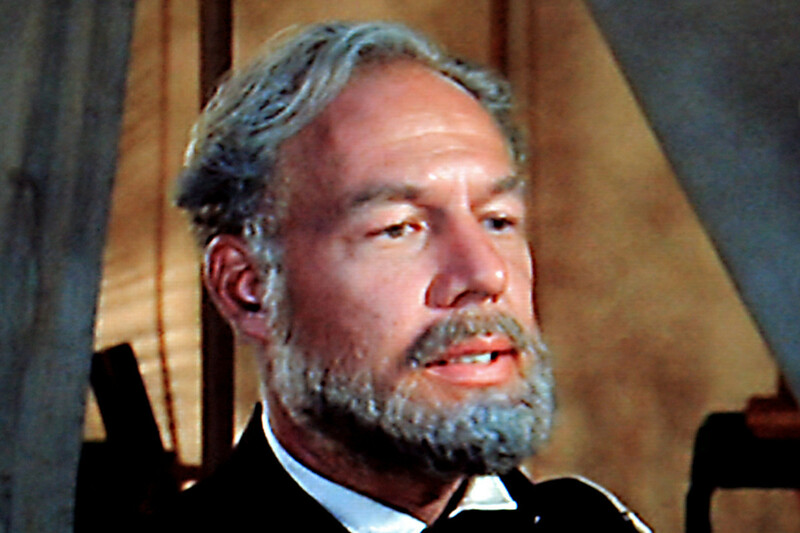 And mention must also be made of George Kennedy. 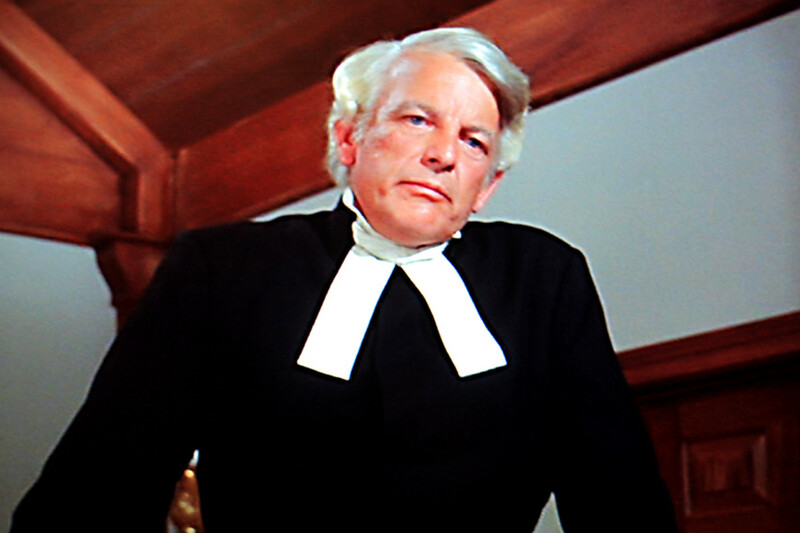 Kennedy has only a minor cameo role, but it is a role which is truly memorable. He plays a war-weary, disillusioned Union Army Colonel, whom Charlie Anderson approaches in his attempt to find his son. The Colonel sympathises kindly, but points out the immense difficulties which the father faces in his quest. It's a touching portrayal of a man who, even though he's on the winning side, is tired of death and a life of tragedy. There are few significant negatives in this film unless one finds the cloying sentimentality too much. Some viewers may, but for me the film is sufficiently well scripted and well acted, for the sentimentality to become believable. Perhaps some scenes are a bit too contrived - notably the theatrical fist fight and the rather fortuitous rescue of 'Boy' from the battlefield. These are brief moments which are not entirely credible, but I believe they can be excused in the overall excellence of the movie. 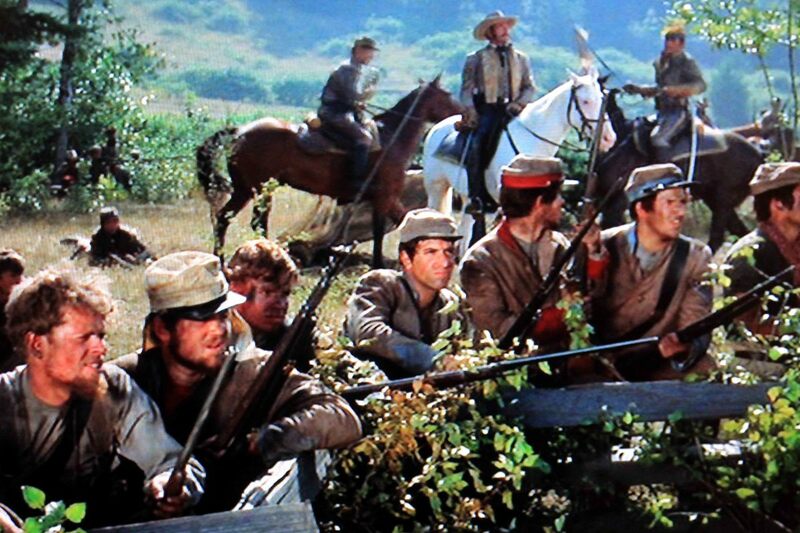 The period of the Civil War in which this movie is set is not made overtly clear, but at one stage a Confederate Corporal states the 'Yankees have broken through at Winchester'. This happened on 19th September 1864. 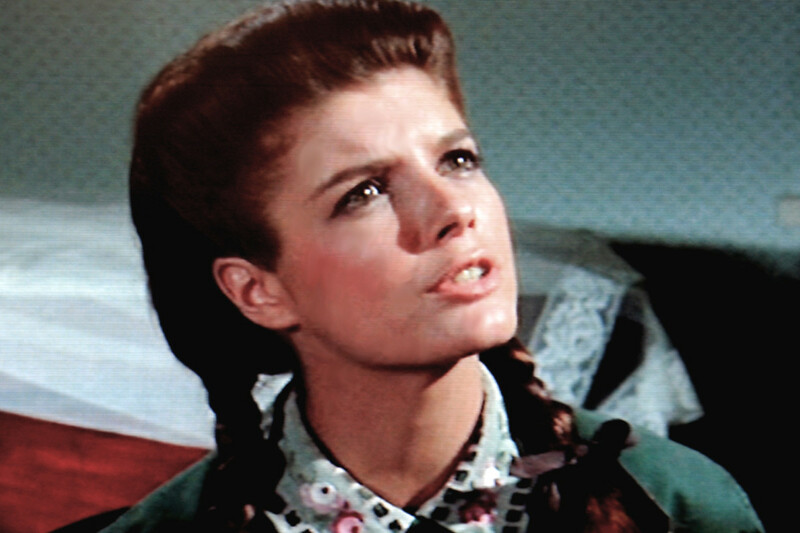 This was the film debut of Katherine Ross. The music which bookends the movie and plays intermittently throughout is, of course, the great folk song which bears the same name as the movie. 'Shenandoah' dates at least to the early part of the 19th century, and remains to this day one of the most beautiful of all American folk songs. I don't gotta go back, do I missy? Man say I'm free. Don't that mean I don't gotta go back? Well if the man said you're free Gabriel, I guess that means you can go anywhere in the world you wanna go. You mean I can just just walk down that road and keep on walking? You can run if you like Gabriel. With that, Gabriel says goodbye and sets off down the road, a free man to do as he wishes. He leaves to the musical accompaniment on film of 'John Brown's Body'. It's almost - but not quite - the last we see of Gabriel. The movie is full of good sequences. Sam's awkwardly expressed request to marry Jennie, and Charlie's stern yet fatherly advice, is well observed (and depicted opposite). The church scenes are also well handled, and the battlefield action is believably filmed. All emotions are credibly presented. With that the Lieutenant rides out in an attempt to commandeer the cow amidst much ribaldry and cheering from both sides. It's a great moment between troops with a shared sense of humour, if different values. 'They come closer every day Pa'. Much of the rest of the dialogue is excellent, and a few other quotes are therefore sprinkled throughout this review. WHAT'S SO GOOD ABOUT IT ? The doctor cannot express his feelings. He can only relate the family tragedy of his particular war. It makes Charlie's reluctance to get involved, quite understandable. His family - like the doctor's - is now moving into the firing line. And that's what this movie shows so eloquently. 'Shenandoah' is a movie with a beautiful Virginian setting, gentle music and good dialogue, a few laughs, a poignant message, a national struggle to win a war, and a private struggle to keep a family together. The last ten minutes and two scenes - one at a grave and one in the church - are guaranteed to bring a tear to the eye of many viewers. A great film. A 16 year old soldier lies crumpled on the ground. But he has not been shot. Rather he is distraught after acting hastily and shooting someone by mistake. Such is war. 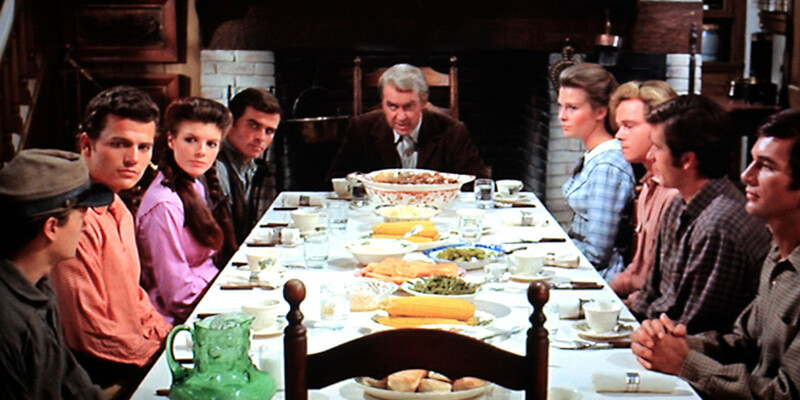 'Shenandoah' is a film with a clever script featuring great acting from James Stewart and others. 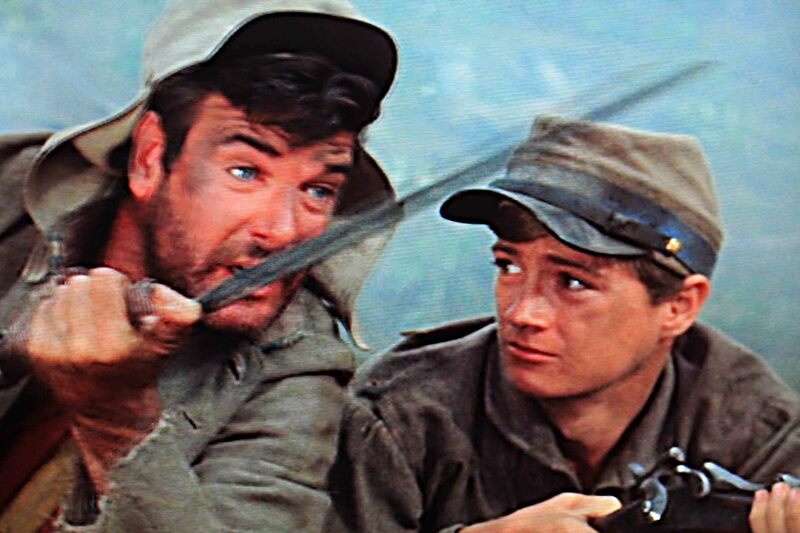 Though set in the American Civil War, this is not some gung-ho heroic war film. 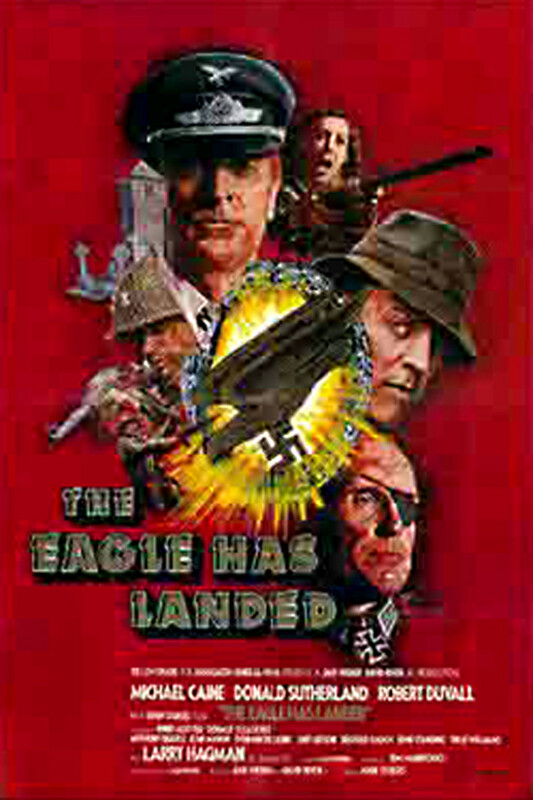 It's a film - just like war - in which almost everybody suffers. There is pathos in this movie. But if that sounds a bit depressing, there is also compassion, fortitude, joy and even gentle humour. Above all there is a very strong sense of family togetherness cemented through homespun philosophies, and there is a warm-heartedness of spirit. 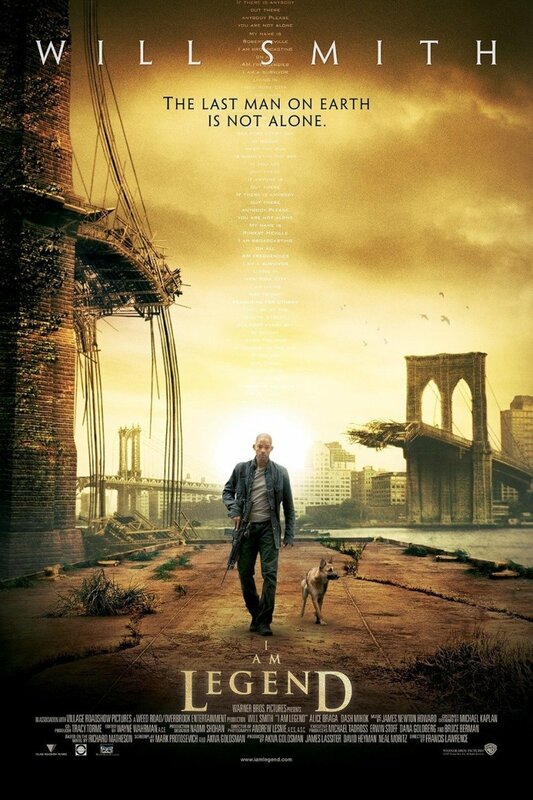 And the prevailing emotion in this film, ultimately, is positive and uplifting. I would commend the film to all who like Westerns, historical dramas, or family dramas. I have introduced ratings for all my film reviews. If you have seen any of the films I have reviewed on these pages, I would appreciate the input of your opinions of the movie with a rating on the review page. Many thanks. All screenshots are taken by the author from the movie 'Shenandoah'. Thanks Alan. Glad you pick up on the realism of more recent movies in the Western genre. It is a far cry from the old days of cowboys in black hats and white hats and the cavalry chasing down the Indians and saving the day. The realism in Shenandoah is in the dilemmas and the sentiments of the characters as they face the Hell of war and its impact on normal life. Always good to hear from you. Alun. cam8510; Thank you Chris. So glad you liked this film and this review of it. It is, I maintain, one of the great Westerns for the various themes and emotions it explores with sensitivity - a Western which works on many levels, and one which should be seen by everyone who enjoys movie making at its best. Appreciate your visit. Alun. 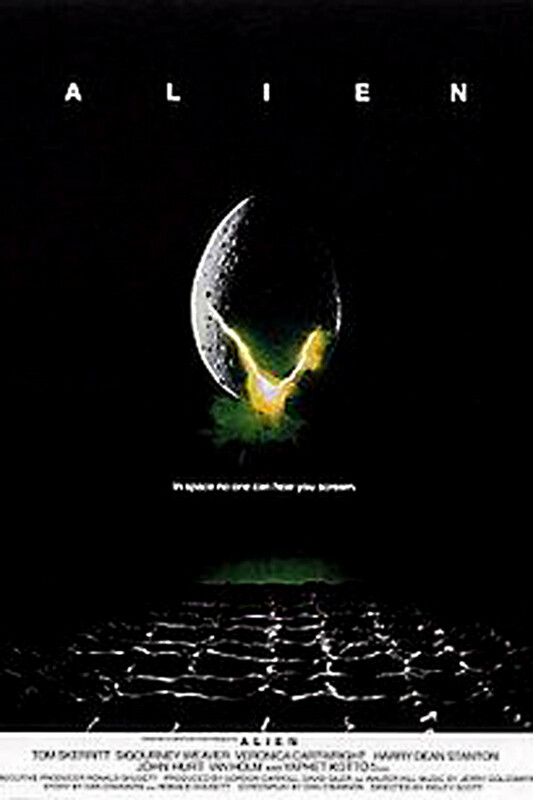 I first saw this film in the theatre with my parents. That was a long time ago. Since then, I have seen all or parts of it several times. It truly made an impact on me that first time. I was only eight years old. The scenes that I remember most are when one son is killed on the farm and when a soldier was having his leg amputated. I still can hear the screams. I love this film, and I thoroughly enjoyed your review. Tony; my thanks for both your visit and for those very nice comments - particularly about the layout of the hub, as I always try to take a lot of time over presentation. 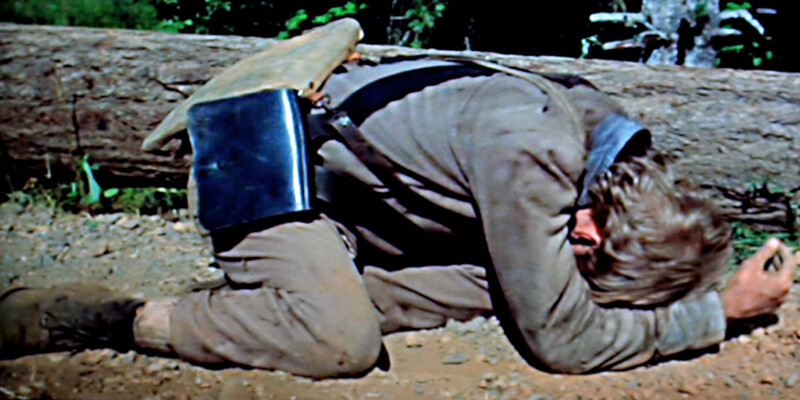 'Shenandoah' is certainly one of my favourite westerns / war films / family dramas depending on which ever category one chooses to put it in, with some memorable performances, scenes and dialogue. 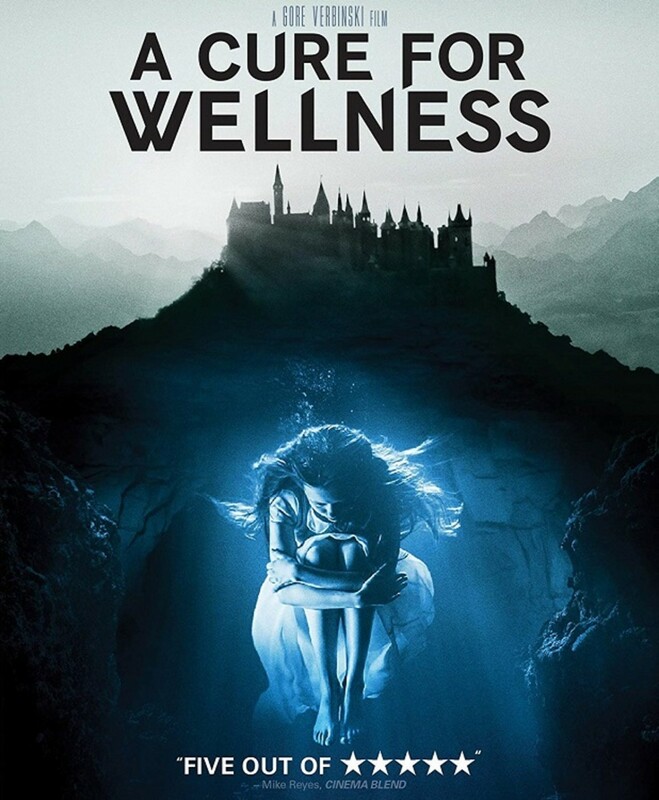 Great hub, about a great film. I've seen it many times and enjoyed it. You've done a real in depth look at this film and its characters. I thought the layout of this hub was very good too. You're right, Alun. I realised it wasn't Pernell Roberts almost as soon as I'd posted my comment (typical)! Apparently Clark Gable was in the USAAF as well. 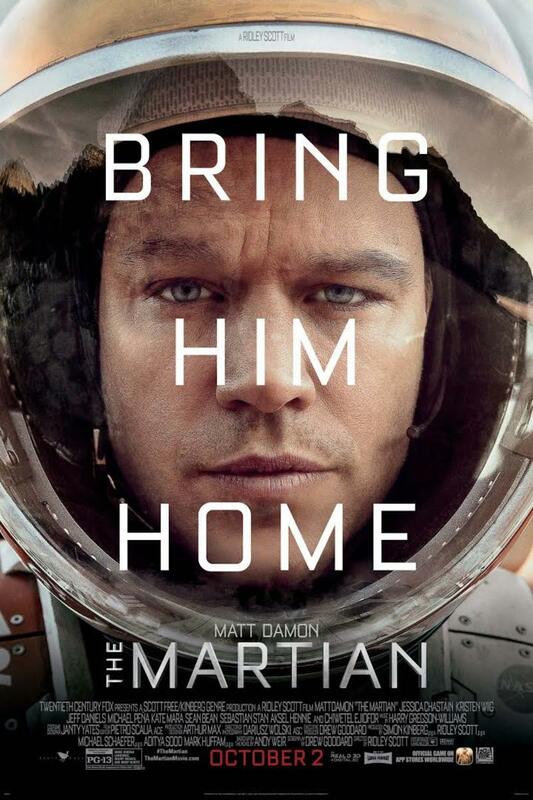 but I don't think he left Hollywood - something about him being too valuable? alancaster; thanks for your usual thoughtful comments. 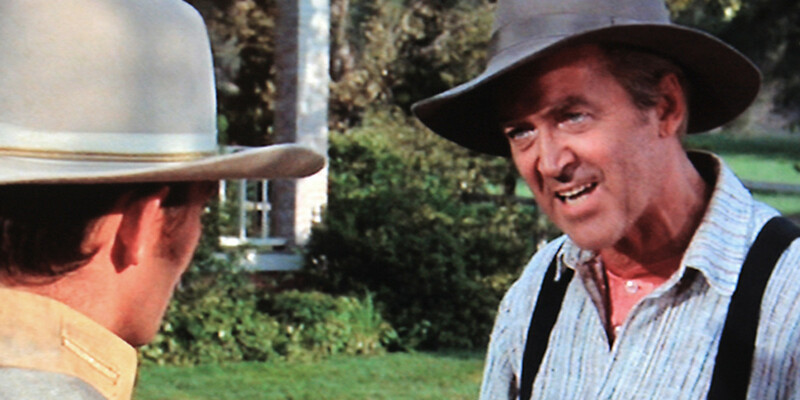 I don't think Pernell Roberts was in 'Shenandoah'. 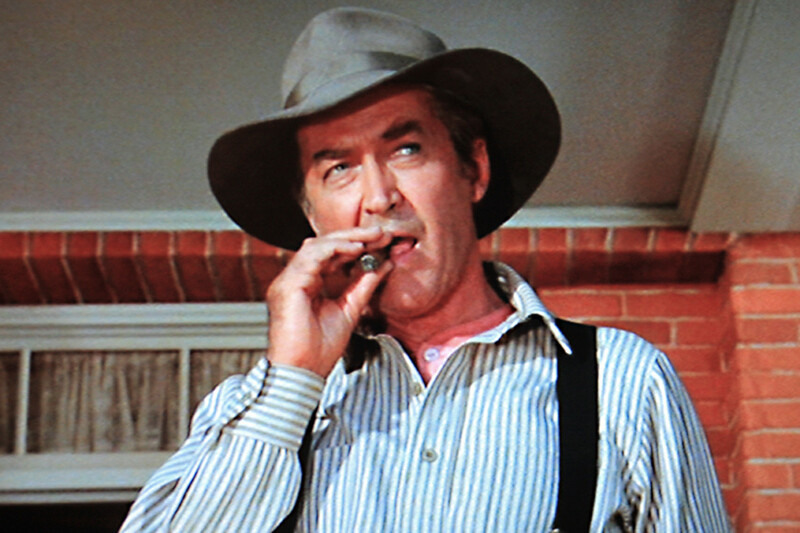 I think the actor in question is either Patrick Wayne (son of John Wayne), or Glen Corbett, both of whom have a resemblence in some images to Roberts. Nice to bring up the war record of James Stewart. Stewart - unlike some who only played at being heroes on the silver screen - genuinely played his part in the war, flying and commanding bombing missions - a role about which he was typically modest in later life, but a role for which he received two awards of the Distinguished Flying Cross, and an award of the Croix der Guerre. Alun. annart; thank you very much for your visit and your generous comment. It makes the time and effort taken to write the review seem worthwhile! 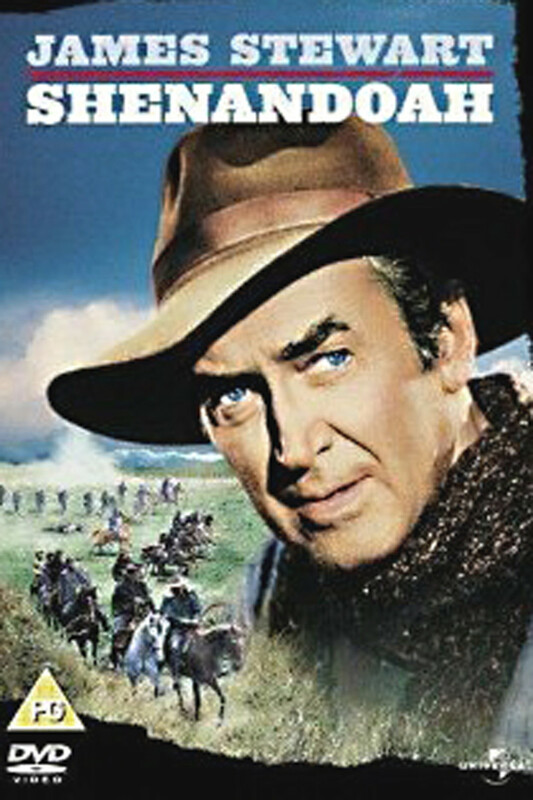 I know what you mean about James Stewart; he's probably my all-time favourite actor, partly for the types of characters he usually plays, but also for that slow drawl of an accent which is so easy on the ear. Cheers. Alun. I remember - although not this brilliantly - seeing this back in the mists of time. I was always a fan of Colonel Stewart (I suppose you know he was in the USAAF based in England during WWII), and watched a string of Westerns over the course of time. 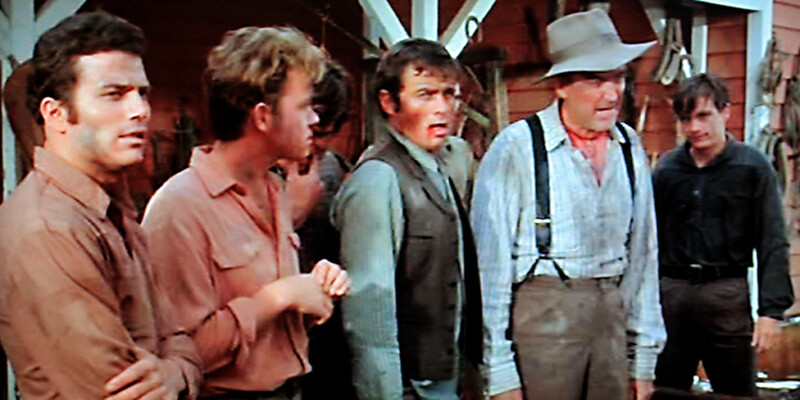 I think I recognise Pernell Roberts, one of the 'Bonanza' cast in the line-up - am I right? Voted up, useful and interesting. This is such a good comprehensive review and well-crafted. 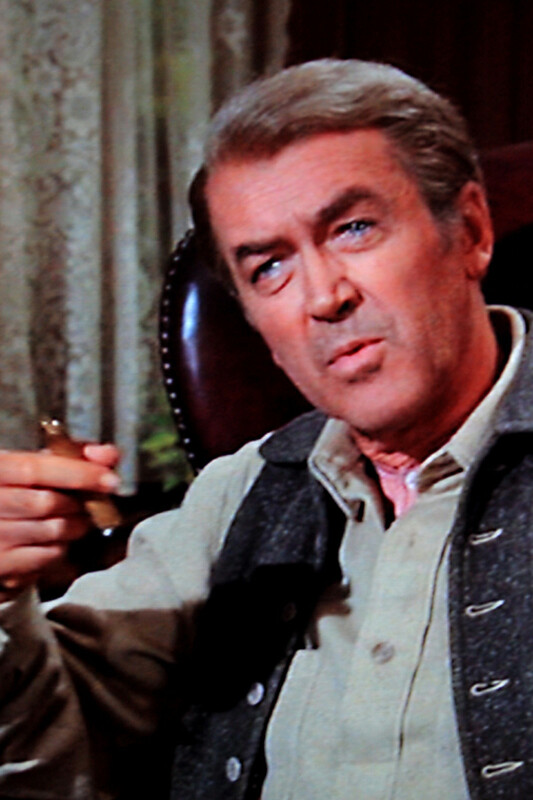 I love James Stewart; I could listen to his voice for hours! You've given a lot of background information which adds to the interest and the value of the film. Well done. snakeslane; I really appreciate your comment so much, because I do take some pride in trying to make my hubs attractive to look at - in fact I probably spend almost as much time organising and reorganising capsules to avoid blank spaces etc, as I do researching information. So it's really nice to see it well received. I'm very grateful. Alun. My thanks to you teaches12345 for your visit and comment here, particularly for your appreciation of the design of the page. Cheers. I hope if you see the film again, it lives up to your memories of it! I think it will - I watched it 4 or 5 times for this review, and it's just as watchable on each viewing. Alun. It has been some time since I have seen this film, but it is a great watch with a bowl of popcorn. I may have to pick this up from the local library. Great design in the post, well researched and very interesting.